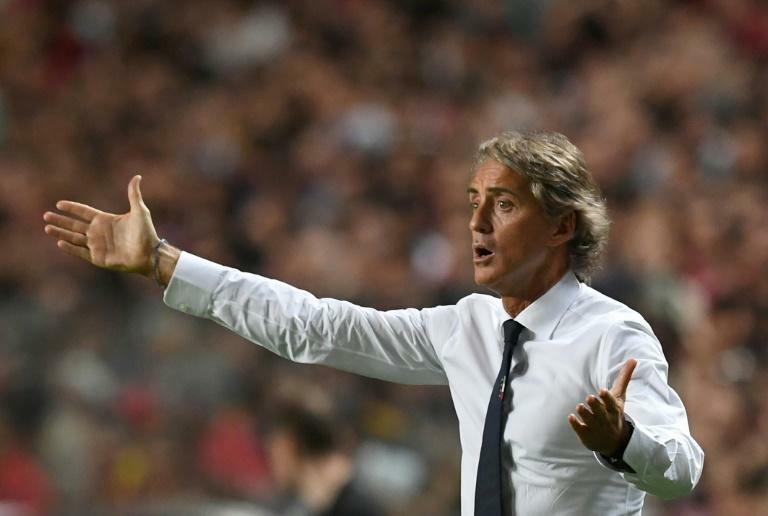 Roberto Mancini remains defiant his strategy will reap rewards after a 1-0 defeat to Portugal in the Nations League piled pressure on the Italy coach as the country craves a victory to ease the pain of their World Cup absence. 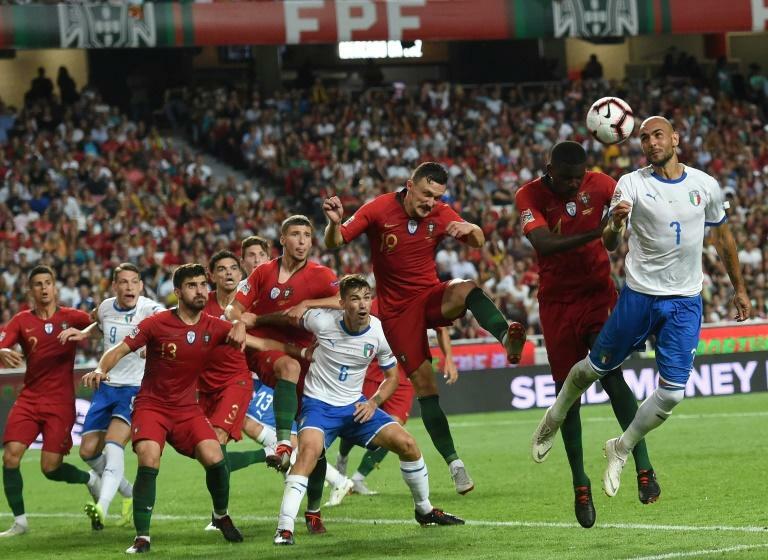 An Andre Silva strike just after the break ensured Portugal -- even without star striker Cristiano Ronaldo -- went top of their Nations League Group 3 with three points from their first game in Lisbon. Italy have just one point from two games after being held 1-1 by Poland. After the four-time champions' failure to qualify for the World Cup for the first time in 60 years, relegation in the Nations League now looks a real possibility. But Mancini, who last week complained about the lack of playing time given to young Italian players at top clubs, remains defiant. "We must grow," said Mancini. "If a young player doesn't play at a high level then it's clear that they'll struggle in the first few games. "I didn't enjoy the defeat, but I did like the team's desire to keep trying right until the end, even if they were at risk of conceding a second goal. "This was the right attitude to have. We don’t want to be relegated and we still want to finish among the top teams in the group. "Poland and Portugal have three matches left and we have two. "We’ll wait and see, but our objective is to form a squad for Euro 2020." Mancini's experimental side -- with nine changes from the game against Poland, and for the first time in 20 years no players from Italian champions Juventus starting -- came under heavy fire after it failed to gel. "Mancini's Italy are already in crisis," wrote the Corriere Della Sera on Tuesday. "Italy yet to emerge from its World Cup nightmare," added La Repubblica. "Italy have not awoken," continued Gazzetta Dello Sport, with La Stampa stating: "Little Italy." 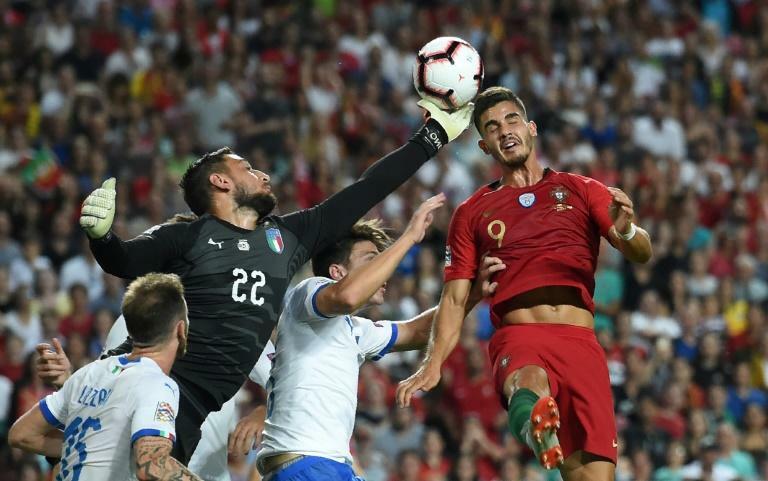 Midfielder Jorginho and Gianluigi Donnarumma were the only players retained from the Poland game, the AC Milan goalkeeper, who has proved a worthy replacement of icon Gianluigi Buffon, the only one to earn praise. Mario Balotelli watched from the stands after suffering a muscular injury against Poland, with Fiorentina forward Federico Chiesa, 20, failing to impress as he had in Bologna. Italy's last competitive win dates back to a 1-0 victory over Albania in the World Cup qualifiers last October, a month before losing in the play-offs to Sweden under former coach Gian Piero Ventura. Mancini's first game in charge was a 2-1 friendly win against Saudi Arabia. In their next next two friendlies Italy lost 3-1 to World Cup winners France and drew 1-1 with the Netherlands. The four-time world champions have dropped to an all-time low of 21st in the FIFA rankings, where they are just behind Peru. The last time Italy went a year without a competitive win dates back to 1958 and 1959, after they also failed to qualify for the World Cup for the first time. Torino striker Simone Zaza appeared to back Mancini's strategy when he said: "It's true that we have many young players and we're in a phase of experimentation, but we have to stay on this path and pick ourselves up as soon as possible." Former Italy coach Cesare Prandelli, who led Italy to runners-up spot in Euro 2012, backed Mancini. "Beyond the result of last night in Portugal, the primary objective is to make young Italians grow up without putting too much pressure on them or fear of making mistakes."